In this episode, Dr. Eric Calderwood, Assistant Professor of Comparative Literature at the Department of Comparative and World Literature, University of Illinois at Urbana-Champaign speaks about his recent book, Colonial al-Andalus: Spain and the Making of Modern Morocco (Harvard University Press, 2018). Dr. Calderwood offers an overview of his book, and reflects on how the time he has spent in Morocco (especially Tetouan) has shaped his research topic and his understanding of Moroccan history and literature. 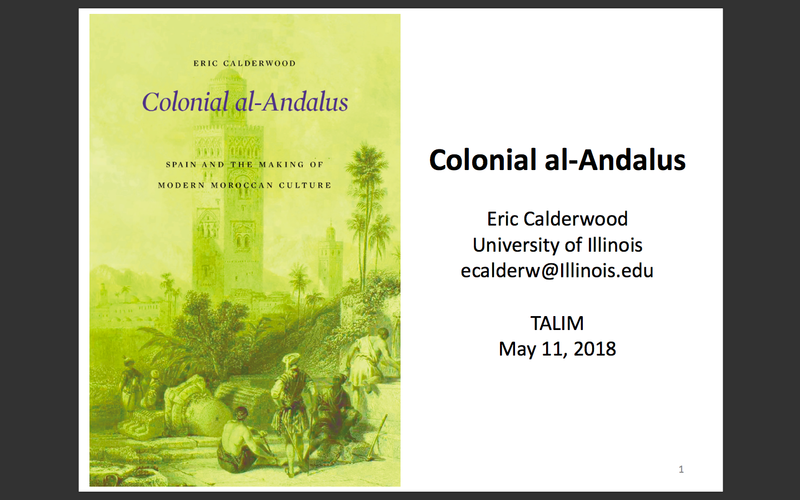 Grounded in nearly a decade of research in Spain and North Africa, Colonial al-Andalus explores the culture, politics, and legacies of Spanish colonialism in Morocco (1859-1956). 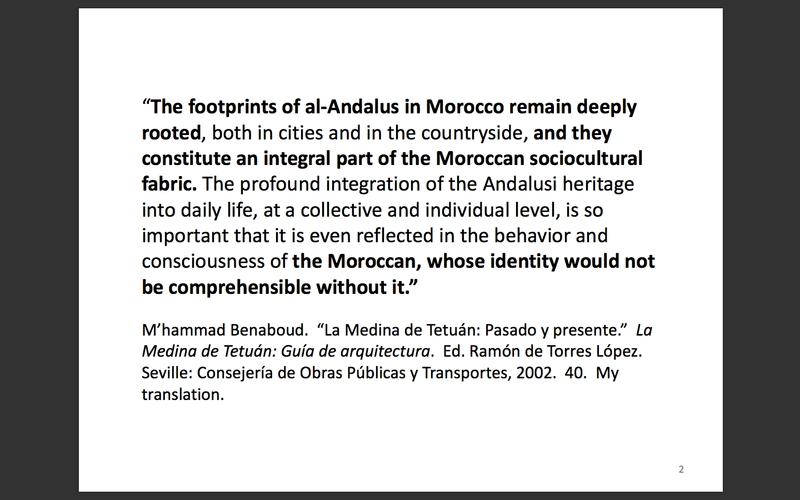 It traces the genealogy of a widespread idea about Morocco: namely, the idea that modern Moroccan culture descends directly from al-Andalus. 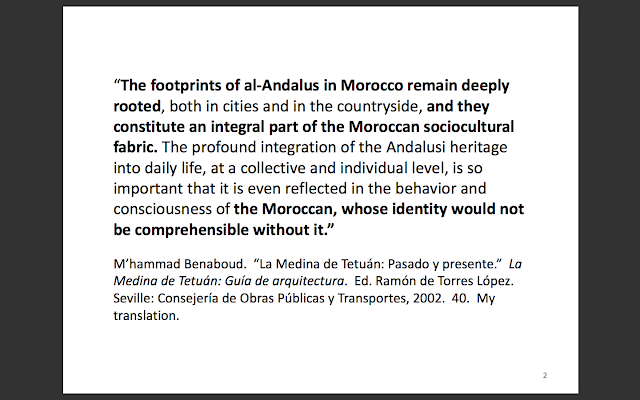 This idea is pervasive in contemporary Moroccan historiography, literature, and political discourse. 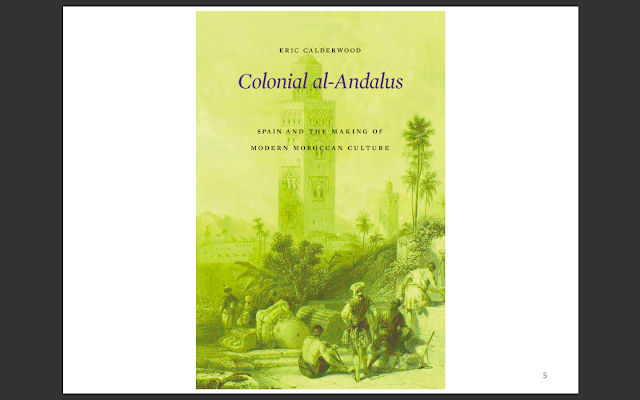 Colonial al-Andalus argues that Morocco's Andalusi identity is not a medieval legacy, but is, instead, a modern invention that emerged from the colonial encounter between Spain and Morocco in the nineteenth and twentieth centuries. In pursuit of this argument, the book examines a diverse array of Arabic, Spanish, French, and Catalan sources, including literature, historiography, journalism, political speeches, tourist brochures, and visual culture. 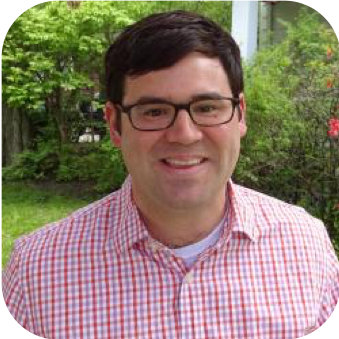 Dr. Eric Calderwood is an Assistant Professor of Comparative Literature at the University of Illinois at Urbana-Champaign, where he also holds faculty appointments in the Department of Spanish and Portuguese, the Center for South Asian and Middle Eastern Studies, the Program in Medieval Studies, the Unit for Criticism and Interpretive Theory, and the Program in Jewish Culture and Society. He received his Ph.D. from Harvard University in 2011. His research explores modern Mediterranean culture, with a particular emphasis on Spanish and North African literature and film. 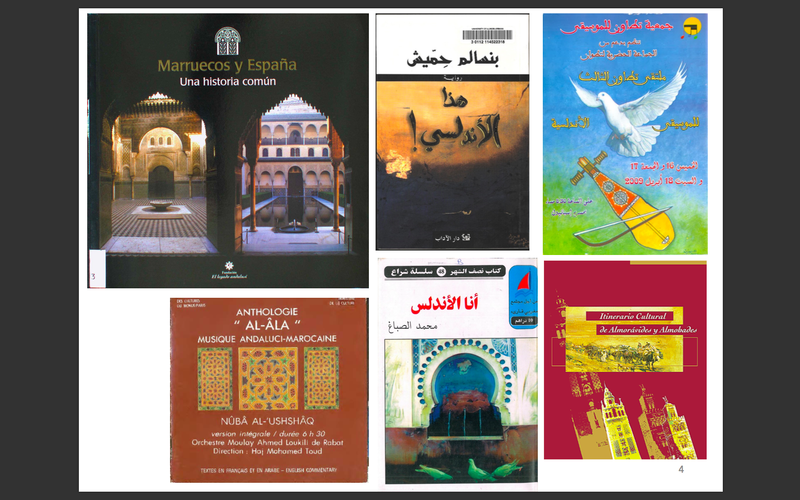 In addition to his recent book on Morocco, he has published articles in such journals as PMLA, Journal of Spanish Cultural Studies, The Journal of North African Studies, and International Journal of Middle East Studies. He has also contributed essays and commentary to such venues as NPR, the BBC, Foreign Policy, and The American Scholar. 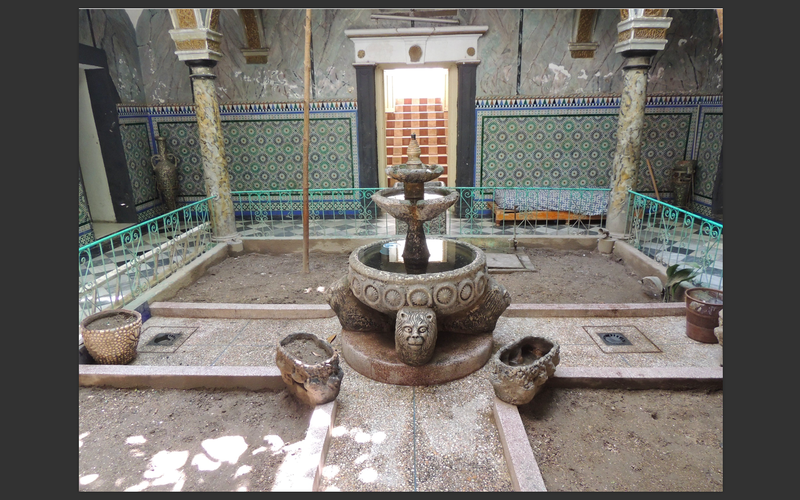 This podcast was recorded at the Tangier American Legation Institute for Moroccan Studies (TALIM), on 11 May 2018. Alarcón, Pedro Antonio de. 2005. Diario de un testigo de la guerra de África. 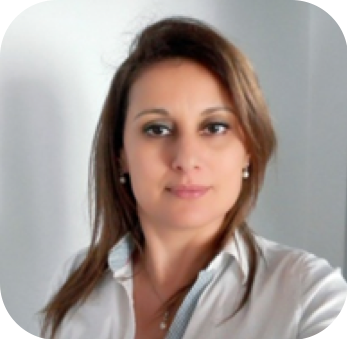 María del Pilar Palomo (Ed.) Seville: Fundación José Manuel Lara. Benjelloun, Abdelmajid. 2011. Le mouvement nationaliste marocain dans l’ex-Maroc khalifien (1930–56). Rabat: El Maarif Al Jadida. 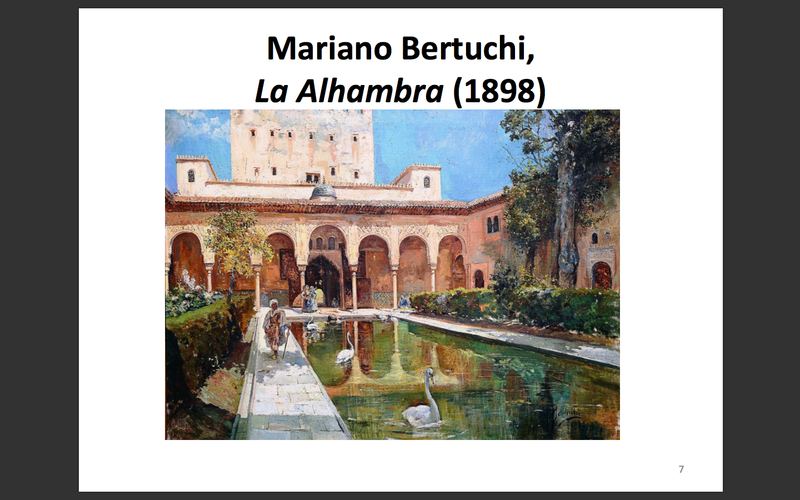 Bertuchi, Mariano. 1936. 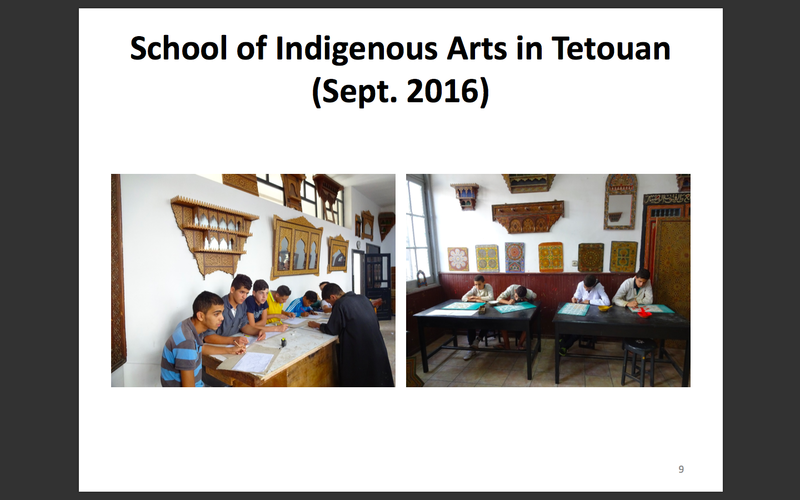 “La industrias artísticas tetuaníes.” Gaceta de África, número extraordinario: 43-45. Binsharifa, Muhammad. 1993. “Al-ʿInaya bi-turath al-Andalus fi al-Maghrib wa-Isbaniya.” In al-Turath al-hadari al-mushtarak bayna Isbaniya wa-l-Maghrib, 23-36. 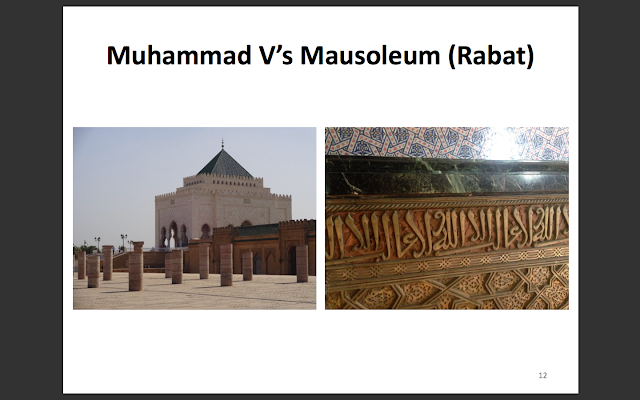 Rabat: Akadimiyyat al-Mamlika al-Maghribiyya. Calderwood, Eric. 2018. 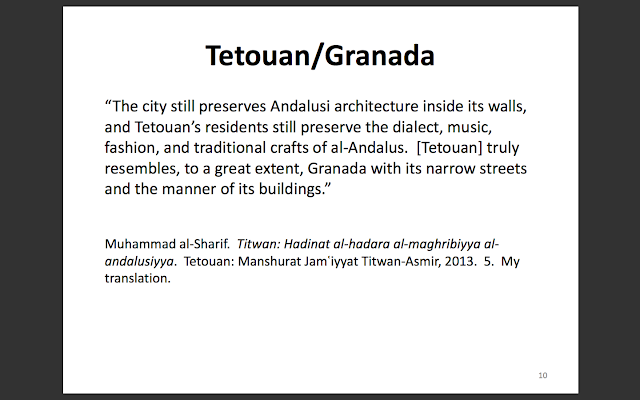 Colonialal-Andalus: Spain and the Making of Modern Moroccan Culture. Cambridge: The Belknap Press of Harvard University Press. Dawud, Muhammad. 1959. Tarikh Titwan. Vol. 1. Tetouan: Krimadis [Cremades]. García Barriuso, Patrocinio. 1941. La música hispano-musulmana en Marruecos. Instituto General Franco para la Investigación Hispano-Árabe. Larache: Artes Gráficas Boscá. Gil Benumeya, Rodolfo. 1942. Marruecos andaluz. Madrid: Ediciones de la Vicesecretaría de Educación Popular. González Alcantud, José Antonio. 2014. El mito de al Ándalus: Orígenes y actualidad de unideal cultural. Córdoba: Almuzara. Granara, William. 2005. 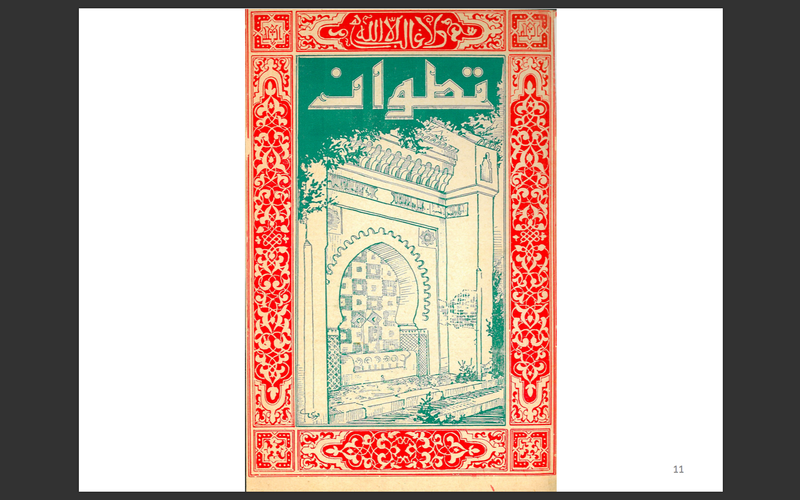 “Nostalgia, Arab Nationalism, and the Andalusian Chronotope in the Evolution of the Modern Arabic Novel.” Journal of Arabic Literature 36(1): 57-73. Madariaga, María Rosa de. 2013. Marruecos, ese gran desconocido: Breve historia del Protectorado español. Madrid: Alianza. Martin-Márquez, Susan. 2008. 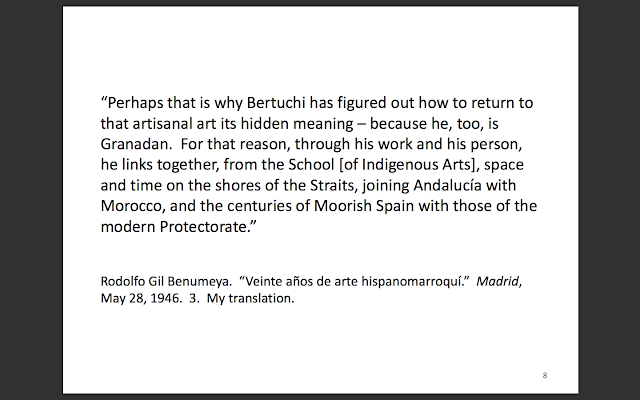 Disorientations: Spanish Colonialism in Africa and the Performance of Identity. New Haven: Yale University Press. Mateo Dieste, Josep Lluís. 2003. La “hermandad” hispano-marroquí: Política y religión bajo elProtectorado español en Marruecos (1912-1956). Barcelona: Bellaterra. Nasiri, Ahmad b. Khalid al-. 2001. Kitab al-istiqsa li-akhbar duwal al-Maghrib al-Aqsa. 9 vols. Edited by Ahmad al-Nasiri et al. Casablanca: Wizarat al-Thaqafa wa-l-Ittisal. Rahuni, Ahmad al-. 1941. Al-Rihla al-makkiyya. Tetouan: Maʿhad Khaniral Franku li-l-Abhath al-ʿArabiyya al-Isbaniyya. Wyrtzen, Jonathan. 2015. 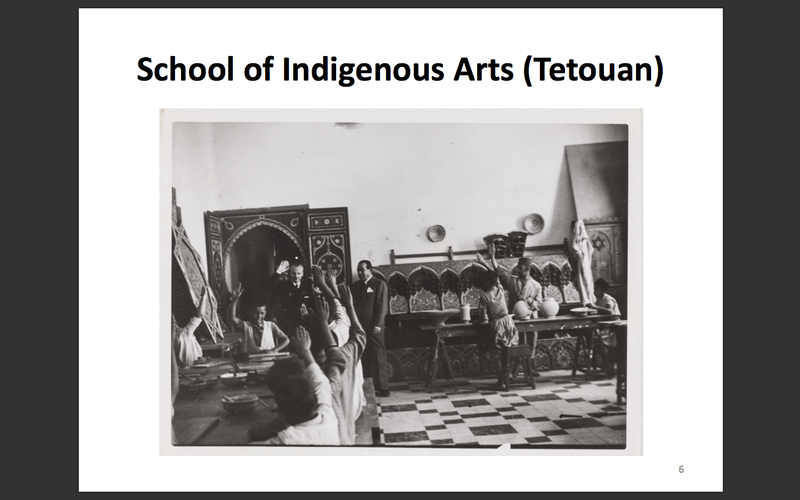 Making Morocco: Colonial Intervention and the Politics of Identity. Ithaca: Cornell University Press.